Decorating the nursery? For would-be parents, the arrival of a baby is an exciting albeit stressful moment; everything has to be ready just in time! Let’s face it, it’s hard to see reason when you’re in the midst of nesting and sometimes, this leads to preventable – not to mention, expensive – mistakes! So before you burn cash at the nearest Pottery Barn, take a step back and plan the nursery decorating first. 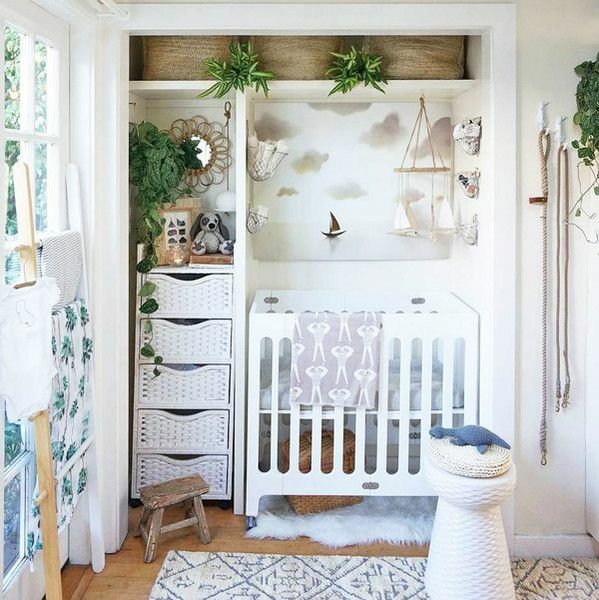 The nursery isn’t just a room for the baby to sleep in. It will serve as a play area for your growing child so it should have lots of room for fun activities. If the nursery is cluttered with too many pieces of furniture, there won’t be much room for play! Think about it, adding a changing station along with the crib, the breastfeeding station, reading nook, and closet, you’ll use up all the available space that would’ve been more useful as free spaces for the baby! So before spending a small fortune on baby furniture, think about the flow and functionality of the nursery. If you can live without a certain piece – like a matching recliner and ottoman for nursing or a bulky changing station – there is absolutely no need to get it. You can breastfeed the baby using an ordinary armchair or change diapers on a changing mat. Buying too many pieces of furniture will only clutter the nursery and there is no guarantee that you’ll maximize these rather expensive pieces. We all want a beautiful nursery for the little one but the room should be designed to meet the needs of the baby, not to satisfy our fantasies of what a stylish bedroom ought to be. The nursery should be a safe haven for the baby to play and sleep. The room design should be functional to make your life better during those sleepless nights too. After all, you will spend a huge chunk of your time in the nursery once the baby comes home. The nursery should have all the essentials you need to make your little one safe and sound! Aesthetics are just as important as the functionality of a room. The nursery is not an exception. 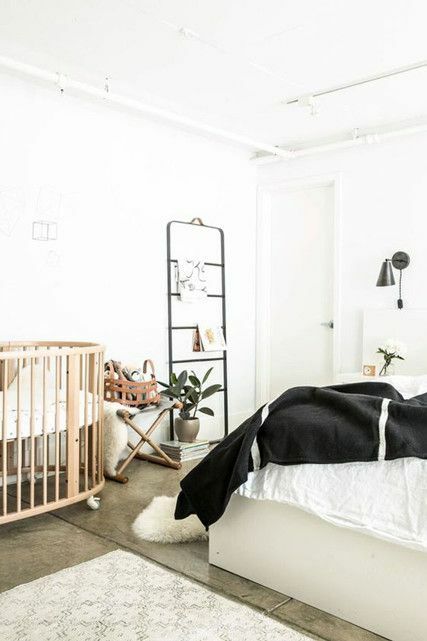 If you love the look of a clean, sleek nursery then avoid design elements that add to the overall visual weight of the room. If the room has too many things going on, the nursery will look busy or tacky. The baby, of course, loves colorful and fun elements but try to trim the excess. If the design element is not functional or sleek, think twice about incorporating it into the nursery. For example, adding ten different decorative lamps or pillows in the nursery is truly unnecessary. Using clashing colors may not offer the desired effect. Decorative niches with lighting are better suited in the living room, not the nursery. 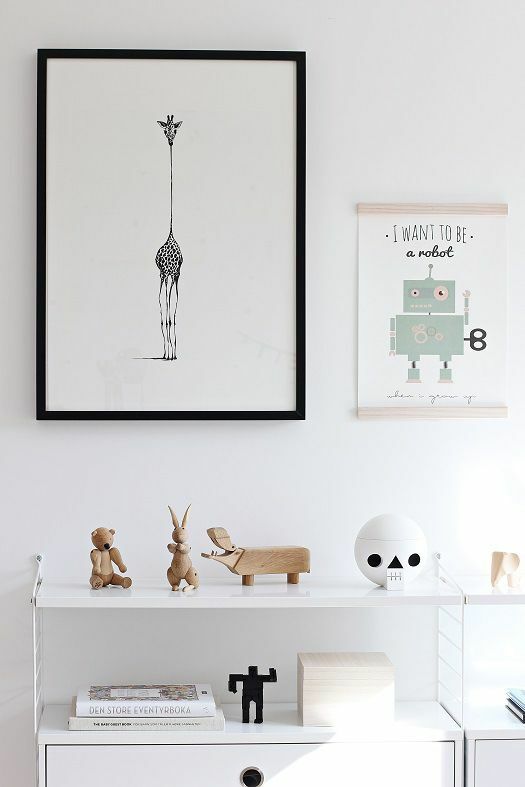 Heavy pieces of wall art are nice to have in the nursery but these can pose a risk to your baby if the pieces fall off the wall! To avoid accidents, use lightweight wall art such as decals, canvas, mountable soft toys as opposed to a massive painting, wooden decors, etc. Also, you want to anchor the wall art to the wall to make sure it stays put no matter what. You can also make your own lightweight artworks using crepe paper and other craft materials to save money on nursery decors. For excited parents who want to provide only the best for their baby, no expense will be spared on cute baby furniture. Shopping for furniture is fun if you have an unlimited budget for expensive pieces but for ordinary folks, reasonably priced pieces are the best way to go. So many stores sell baby furniture that’s just as beautiful and functional, like say, imported Italian pieces. There is no need to invest in expensive pieces of furniture unless these pieces can be maximized to their fullest. For some, buying expensive baby furniture means worrying about dents and scratches that the pieces might sustain throughout their lives. The nursery is not an exhibition. The baby will grow into a toddler who loves to bang things and destroy stuff. That’s just kids being kids! Essentially, you want to create a baby room that grows with your baby. You will change the interior often to adjust to your growing baby anyway so buy pieces of furniture that offer a balance of functionality, practicality, and of course, style. A baby room, no matter how small, needs to have plenty of storage spaces because your little one will go through his or her supplies quickly. Make sure the room has enough storage for extra diapers, baby clothes, bath items, and baby bottles. You can use bins and baskets to keep all your baby essentials organized and within easy reach. Use multipurpose furniture with concealed storage spaces to make the most out of a small room. Install floating shelves on the blank wall to make the most out of the unused vertical space. Avoid bulky decors and nursery pieces that only eat up space, this will make organizing much easier.